In 1939 a movie was released, named Blind Alley. It's a story about a patient who takes his psychiatrist hostage. The shrink keeps on analyzing his 'patient' during the hostage and weird things happen, I think. I've actually never seen this movie. I just 'googled' Blind Alley and found out about the film. There was also a short story by Isaac Asimov in 1945. But now we're talking about a totally different Blind Alley, one that is a little less scary and a lot more interesting. 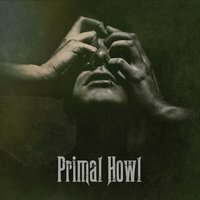 Blind Alley is a quintet from France that has just released their second album, Primal Howl. While the title might suggest an explosive or savage sound, Blind Alley shows us qomething quite different. With a line-up constisting of bass, guitars, drums and violin Blind Alley succeeds in creating mirky downtempo powerpop songs that somehow get stuck in your head quite ealisy. Often, like on 'Battlefield', they lean towards a glorious twenties jazz sound while on other occasions influences from acts like Hooverphonic shine through. If you take all these elements, from jazz and blues, to powerpop and folk rock and add the versatile voice of Zoé Jeanroy, you actually do get something interesting. Reaching the voice of women like PJ Harvey, Patti Smith or Bonnie Riatt they add an element of authenticity to the overall sound, as if Blind Alley has been doing this since the late seventies. For the record, they haven't been around this long. They just have this credibility because of their many-sided sound.